Since its introduction in March 2015 at Heathrow Airport, NATS’ TBS arrivals system has been saving time and money for all of the airlines using Europe’s busiest airport. Not only has TBS helped reduce delays for air travellers but it has also added resilience to a flight arrivals schedule that is full to bursting – the airport consistently operates at 98% capacity, facilitating more than 1,350 aircraft movements every day of the year. 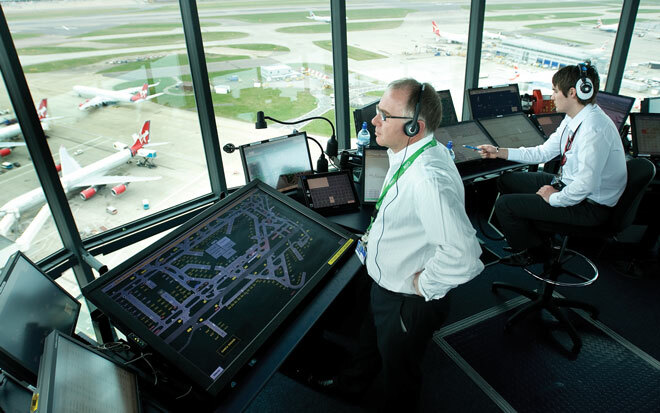 NATS’ air traffic controllers have been using TBS for a full year for Heathrow approach. The system is in use at all times and its success is undeniable. More than 80% of aircraft landing at Heathrow Airport were able to safely land closer together than they would have using traditional distance-based separation. In strong wind conditions (headwinds of over 20 knots) NATS’ analysis shows that an equivalent of 180 nautical miles of separation space is typically saved between arrivals in a day. As an average in all wind conditions, approximately 78 miles are being saved per day and, when you consider that typical spacing between medium-sized aircraft is three miles, it becomes clear how that equates to recovering the landing rate. Crucially, there has been no increase in aircraft go-arounds or wake turbulence encounters under the TBS regime – and no adverse pilot enquiries or comments – and an overall reduction in flight cancellations. As a whole, the airport is experiencing a more than 50% reduction in air traffic flow management wind delays and Heathrow controllers have been able to achieve an average of 1.2 more movements per hour across all wind conditions. In strong wind conditions this hourly rate increase rose dramatically to 2.9 more movements than was previously achievable using traditional distance based air traffic control separation methods. In November 2015 alone NATS estimated that, despite winds of up to 60 knots on final approach, TBS saved 25,000 minutes of delay. In particular, on 10 November 2015, despite a 40 knot headwind, there were no flow regulations in place – a situation that would have been unthinkable under the old distance-based regime. All this adds up to a better service for passengers and a smoother, more efficient operation for everyone. Airline schedules are more robust under TBS and as the TBS system dynamically adjusts spacing to reflect the actual wind conditions, it also increases spacing in still winds or tailwinds when the risk of wake turbulence encounter is higher, thereby enhancing safety. In addition, NATS estimates that CO2 savings as a result of reduced holding times are in excess of 3,000 tonnes. The new system has been implemented without the need for cockpit adaptations or pilot and crew re-training, as NATS has taken care to keep the flight crew procedures the same. Also, as NATS developed the system with the air traffic controllers themselves, it only required on average two to three days training per controller. How does Time Based Separation work? From the outset, NATS and its partner Lockheed Martin were determined to devise an innovative solution to provide resilience to the airport and to unlock runway capacity, safely and simply. As with many of history’s landmark inventions, the scientific principles are straightforward: aircraft travel more slowly over the ground when flying into strong headwinds, like boats battling against the tide or pedestrians walking the wrong way along a moving walkway. Furthermore, wake vortices decay and dissipate much more quickly in headwinds, effectively blown away by the force of the breeze. Therefore, in strong headwind conditions it is possible to safely land aircraft closer together in distance, basing the required separation instead on a measurement of the time it takes for the preceding aircraft’s wake vortex to decay to such an extent that the next aircraft in line can follow without encountering turbulence. Runway occupancy is not an issue as the aircraft are never separated in time by less than they would be in light winds. It sounds simple and basically it is, but with safety remaining the top priority, a great deal of work and research has allowed NATS to develop the detailed, accurate and extremely precise tools that lie behind the successful operation of TBS at Heathrow. In order to prove that it was safe to apply TBS, NATS carried out five years of LIDAR data collection at Heathrow; measuring the wake vortices from all aircraft types in all wind conditions. This produced a reliable framework of TBS rules. In addition, it was important to know what the actual winds were on the final approach rather than relying on meteorological models. As part of the TBS ‘engine’ NATS developed software to calculate the actual wind based on the downlinked aircraft parameters from existing Mode S Radars. The TBS tool itself then presents dynamic separation indicators to the controller that are adjusted to 0.1nm increments matching the allowable separation precisely to the prevailing wind conditions. As an example, using TBS in moderate wind conditions Heathrow controllers are able to safely land heavy-heavy arrival pairs 5% closer together in distance than was previously achievable. Heavy-medium arrival pairs can also be safely landed 5% closer together in moderate headwinds. In strong winds of approximately 35knots TBS has an even more pronounced effect, as heavy-heavy pairs are now able to land 8% closer together. The extensive background research also eliminated runway occupancy as an issue, as the arriving aircraft are not crossing the runway threshold at a higher rate than they would in light winds using a distance-based separation model. The headline success of TBS at Heathrow has been the consistency with which potential wind-induced air traffic delays and flight cancellations have been avoided without compromising in any way the excellent safety record of the airport. The reputational benefits and tangible cost savings accruing from reduced fuel burn have made the new system popular with the airlines and aircraft crews – who are able to adopt the new system with very little adjustment – giving TBS a resounding the thumbs-up. During its first year of operation TBS has also gained prestigious recognition from aviation and engineering industry peers. In November NATS and Lockheed Martin won an Institution of Engineering and Technology 2015 prize for the year’s Best Transport Innovation, an accolade of which the two companies are immensely proud. In March 2016 the implementation of TBS earned an IHS Jane’s ATC Runway Award for NATS, Lockheed Martin and Heathrow Airport and, separately, TBS was honoured at the CANSO World ATM Congress in Madrid. As part of the inaugural European Commission Single European Sky conference NATS, Lockheed Martin, Heathrow Airport, and the European Organisation for the Safety of Air Navigation (EUROCONTROL) were hailed as joint winners of a Single European Sky Award for the development, introduction and operation of TBS. NATS is delighted to have been recognised for what it and its partners have achieved. 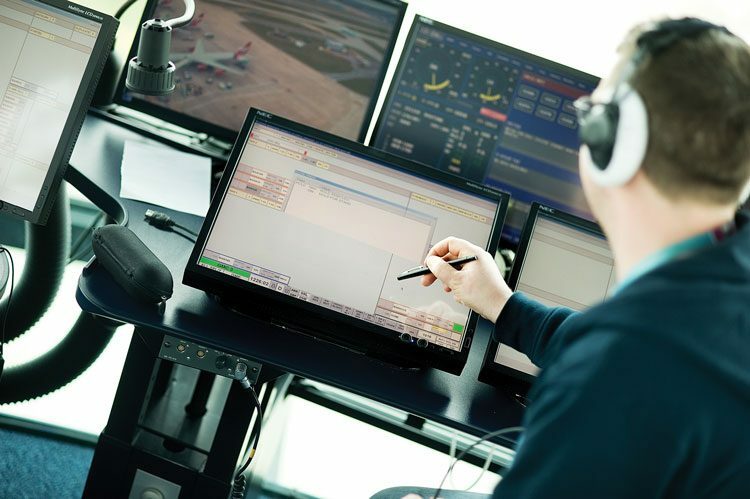 By working together on TBS, Single European Sky air traffic control Research (SESAR) concepts have been taken off the drawing board and into real life operations, helping to bring a Single European Sky one step closer to reality. 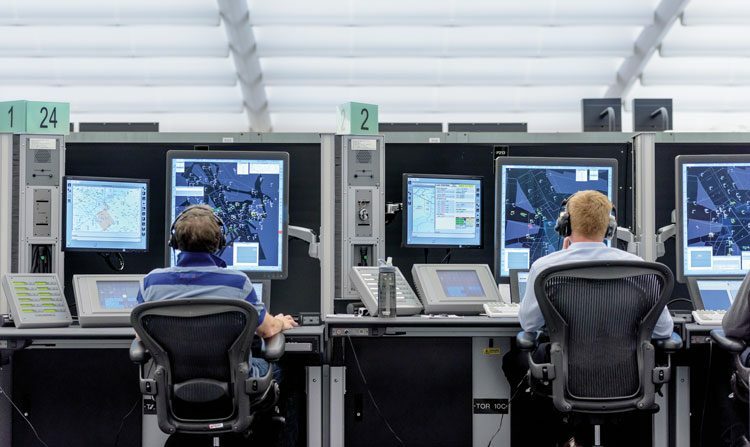 At Heathrow Airport the benefits of TBS have been significantly enhanced by working with the airport and the airlines to improve adherence to air traffic control speeds on final approach. With the support and cooperation of carriers and airline pilots, compliance at Heathrow has improved by 20% following the introduction of TBS – currently approximately 80% of arriving aircraft comply with air traffic control speed instructions to within 5knots. NATS is pleased and proud to have garnered the approval and enthusiasm of its partners and customers. Before our Heathrow approach controllers adopted TBS, the airport was arguably the best in the world at delivering optimum separation on final approach. Since TBS, though, this excellent performance has further improved, with controllers managing to land flights consistently closer than ever before to optimum separation. The electronic TBS decision support tools were designed to assist controllers and they are exceedingly effective, in large part thanks to the ongoing involvement of a core team of experienced controllers whose professional input was instrumental in shaping the system from the start. Strong and unwavering support from the Civil Aviation Authority, Heathrow Airport Limited and the carriers and crews that use the airport, in particular British Airways, has helped NATS and its technology partner, Lockheed Martin, shape TBS to fit the task at hand. The user-friendly design is absolutely the result of close collaboration both with those who use the system every day and those whose business benefits from its safe and trouble-free operation. One of the strengths of the new separation regime, and an aspect that greatly augmented the ease of its implementation, is that no changes to aircraft cockpits or flight landing procedures are required in order to accommodate TBS. Crews need only be made aware that we have switched away from using a traditional distance based separation and that they will be closer to the aircraft in front in strong headwinds, but that it is perfectly safe to do so. The safety of passengers and crew is of paramount importance to everyone involved with the new TBS system; indeed the search for greater and greater safety performance was one of the key drivers of the design. So far, TBS has had no negative impact on safety at Heathrow. Although some aircraft land closer together by distance, by using a dynamic approach to applying the optimum separation for the prevailing weather conditions, TBS has enhanced the safety of arriving aircraft and thereby of the airport as a whole. Not only has there been no increase in last-minute aircraft go-arounds, or wake turbulence encounters, but also, of the reported wake turbulence encounters that did occur during the year, none were associated with TBS issues. Runway occupancy remains unchanged as arriving aircraft cross the threshold at a constant and predictable rate. What next for NATS and Time Based Separation? The air traffic control advances that have been achieved with TBS are paving the way for further developments in airport aircraft traffic flow – so, what’s next? NATS anticipates that application of TBS tools and technology could lead to significant improvements in at least four specific areas. Taking these potential TBS-based enhancements as a whole, we believe the aviation industry is on the brink of benefitting from a refocused concept that we call ‘Intelligent Approach’. With its partners at Lockheed Martin, NATS has already been speaking to international airports and air navigation service providers across the globe, working with them on developing specific air traffic control enhancements designed to bring tangible benefits to their operations and their businesses. It has become crystal clear that the benefits of separating aircraft dynamically by time extend far beyond simply minimising headwind delays. The concept of ‘pairwise’ separation will further enhance the efficiency of TBS by enabling the wake vortex separation to be individually tailored to the specific aircraft pairing. This will move from today’s six wake categories which group aircraft together to a very granular grid that could be 70 or more individually tailored pairs. Clearly a controller could never be expected to hold that level of complexity in their head, but the highly sophisticated TBS tools make it possible for this practical limitation to be lifted. Theoretically, at least, there is no limit to the level of granularity we can reach, potentially drilling right down to individual aircraft models and variants allowing new runway capacity to be created. TBS tools could also bring potential benefits for mixed-mode operations: by integrating TBS technology with airports’ departure management systems to take account of aircraft runway occupancy on departure, inbound separation could be safely tailored within mixed-mode operations. Optimising the space between arrivals based on this method could potentially deliver up to two additional movements an hour at single runway airports. Dependent runway operations could also benefit from the application of TBS tools, as the technology allows final approach spacing on converging runways to take cognisance of departures and thus goes some way to ensuring the de-confliction of go-arounds. Furthermore, adopting the Intelligent Approach could have a positive impact at airports during periods of low visibility. Harnessing the technology could allow final approach spacing to be tailored to the preceding aircraft’s impact on the localiser, thereby recovering some of the capacity lost due to fog and optimising runway occupancy in LVP conditions. This really is the start of a journey and there will be lots more to come. 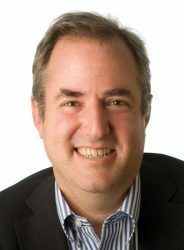 Andy Shand has been General Manager of Customer Affairs at NATS since he joined the organisation in 2007. Key elements of his role – which is the focal point for NATS Airline, Business and General Aviation customers – include consultation with customers on RP2, Future Airspace Strategy, NATS Long Term Investment Plan and the Operational Partnership Agreement.